The terms of the commercial lease will govern the financial relationship between the business and the landlord. The lease will determine the tenant’s occupancy rights. The lease will establish how the parties deal with default and termination. The lease will supply the base upon which the business operates for years to come. It is important that the tenant understand the terms contained within the lease and how the lease will impact its business. Tenants typically construct improvements to the leased premises to make it suitable for their specific purpose. Unless limited by the terms of the lease, such improvements may be performed without the landlord’s consent. Any improvements to the leased premises which cannot be removed without damaging the property must remain with the premises at the conclusion of the lease. Tenants must consider the length of time it will take to improve and fixture the leased premises, when the landlord will turn over possession of the leased premises, and when rent starts to accrue during the lease negotiations. In a commercial setting, the parties may allocate the repair and maintenance responsibilities for the leased premises. Typically, the landlord will retain the responsibility over the structural portions of the leased premises, while the tenant will accept the duty for the remainder of the structure and its systems. It should be noted that the landlord’s failure to repair or maintain does not relieve the tenant of paying rent unless otherwise allowed by statute, the lease, or otherwise arises to the level of a constructive eviction. A lease typically defines specific acts and omissions which will constitute “defaults” thereunder. Clearly the failure to pay rent is a default. Tenants may want to require the landlord to provide some type of notice to the tenant and allow an opportunity to cure before being held in default. Once a default occurs, the landlord has several options available. 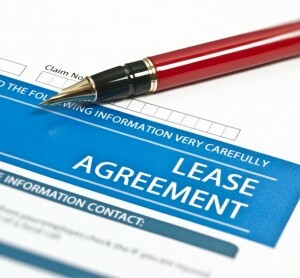 The landlord may terminate the lease and demand that the tenant vacate the leased premises. Alternatively, the landlord may retake possession of the leased premises without accepting surrender of the lease, and relet to another tenant. The landlord may allow the lease to continue and sue for rents as they become due. If the landlord chooses to accelerate the rentals under the lease, it must reduce the future rentals by the fair market rental value of the leased premises and discount the remainder of the rentals due under the lease to present value. If the landlord relets the leased premises at a rental rate which is less than the rental rate in the defaulting lease, then the landlord may also sue the defaulting tenant for the difference. In most default situations, the landlord should also attempt to mitigate its damages upon a tenant’s default where it can do so. A landlord may also recover its reasonable and necessary attorney’s fees in a suit against a defaulting tenant where allowed by the terms of the lease or otherwise by statute. Unless the lease expressly provides otherwise, a commercial lease typically contains certain promises which are implied. These include the landlord’s promise that the tenant will enjoy the premises without interference, the tenant’s promise not to cause waste, and the landlords “warranty” that the premises is suitable for the tenant’s intended use. The implied covenant that the tenant continuously operate its business on the leased premises exists where the lease provides that the rental is paid only as a percentage of the tenant’s gross sales. It is very common for a commercial lease to contain a waiver of jury trial provision. Such a provision is valid under Texas law. If a tenant wishes to retain the right to a trial by jury, then such will have to be negotiated prior to the execution of the lease. Most commercial leases also contain “non-waiver” provisions. A non-waiver provision allows a landlord not to be bound by a prior failure to enforce a lease right or to declare a later occurring default which the landlord may have delayed enforcing or outright waived its rights in a prior default situation. Non-waiver provisions are generally considered valid and enforceable. Unless otherwise allowed by the terms of the lease or the landlord’s consent, Texas law does not allow a tenant to assign or sublet its leasehold interest. Any attempt to assign or sublet by a tenant without lease authorization or the landlord’s consent is void. Unless otherwise contracted between the parties to the lease, a tenant is entitled to share in any condemnation award where any portion of the leased premises is lost through the eminent domain process. However, most commercial landlords typically want to alter this situation so that they remain in control of the condemnation process and the proceeds. Damage to the leased premises caused by fire, earthquake, flood, or other casualty which renders the property unsuitable for continued occupancy terminates the leasehold estate. Any prepaid rental on the date of casualty is not refundable unless allowed by the lease. Typically, the parties will negotiate the specific events which will render the leased premises so untenable that the lease will terminate. In the event of a casualty which only affects a portion of the leased premises, the parties will also normally negotiate how the tenancy will continue and how rent may be abated. R. Scott Alagood is board certified in Commercial and Residential Real Estate Law and can be reached at alagood@dentonlaw.com and http://www.dentonlaw.com.